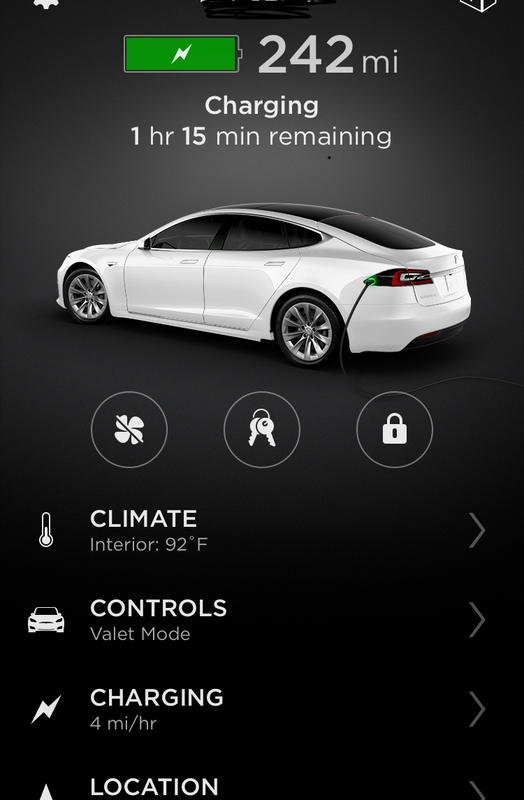 As Hurricane Irma makes its way into Florida, electric automotive manufacturer Tesla decided to help owners in the threatened areas to evacuate from the dangerous storm with a new over-the-air update. 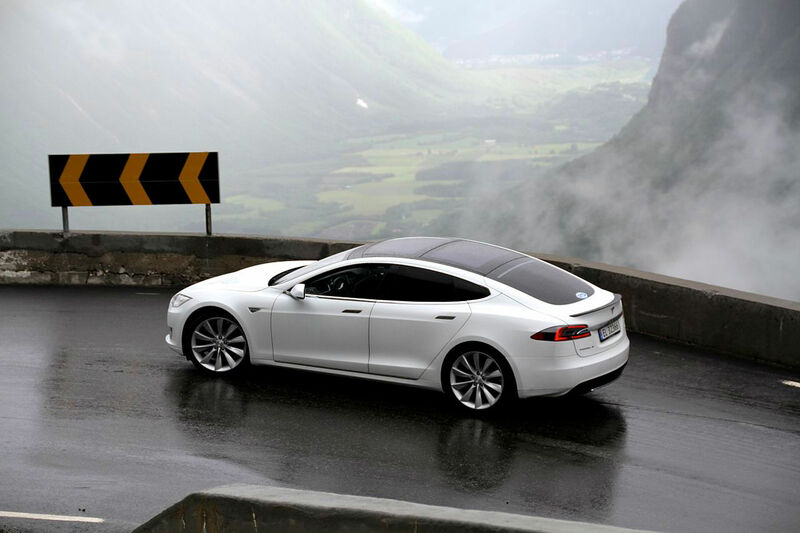 According to Electrek, the update will be sent to the 60-kilowatt Model S and X vehicles; which will allow an additional driving range of about 30-40 miles. These cars actually have a 75 kWh battery, but they will just be able to use 80% of that power as long as the owner doesn’t pay $3,000 to unlock the rest. Until September 16, some people will get free access to the full 75 kWh battery to help you escape Irma. Here’s a screenshot a Tesla owner has taken which shows us the longer range. The reason for the emergency update is because of a driver, who had received an order to evacuate the area but couldn’t because they didn’t have enough range to do so. 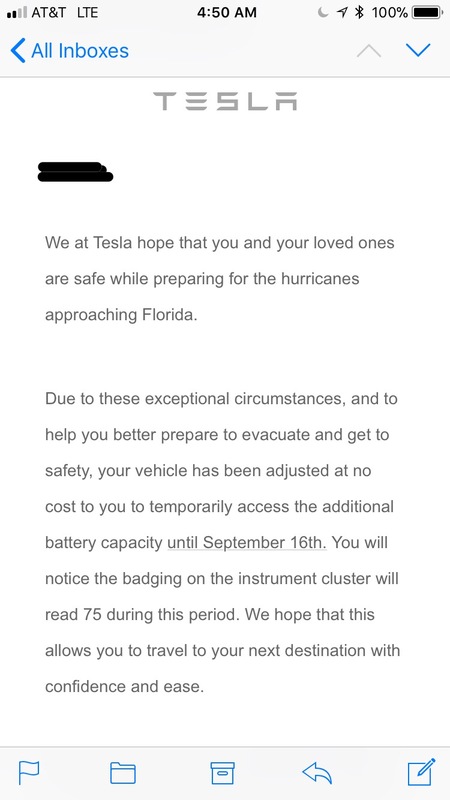 Because of that, the owner then contacted Tesla, who then sent out the update to other drivers in the Florida area – so that they could evacuate safely with the extra 30-40 miles of added range. If you’re doing the math at home, the update will extend the range of the 60 and 60D from about 200 to about 230-240 miles.